This fully interactive piece explores the indelible marks that strangers leave upon our lives. This interactive piece explores the indelible marks that strangers leave upon our lives. 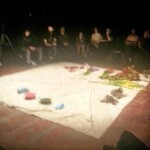 In a theater in the round, a large tarp on the floor with pots of paint and stalks of flowers, ropes and other objects. Audience is seated around the tarped stage. 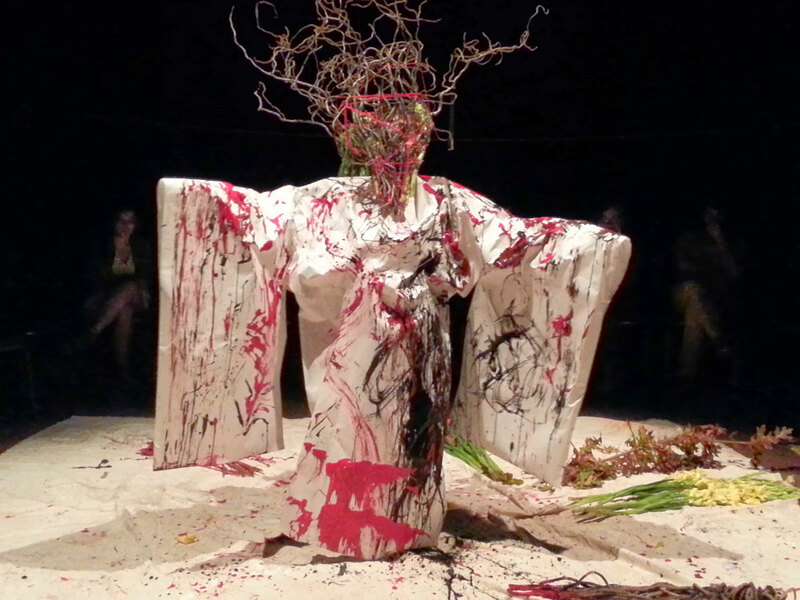 A being with a head made of branches and flowers, dressed in a white paper kimono slowly enters. 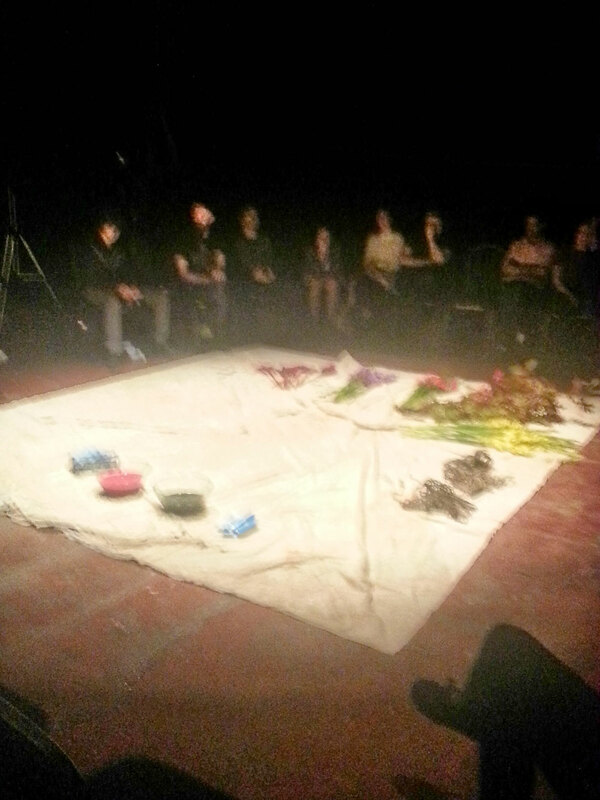 The audience is invited to use the flowers and other objects to paint on the being. At that moment the audience becomes the artist and they are audience no more. When the painters are done, the being slowly leaves the stage. Music composed and created by Midori using sampled environmental sounds and reinterpretations of prayers and incantations from several major religions. 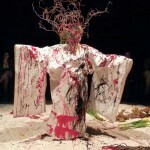 First performed at SOMArts, San Francisco. October 1st, 2013. Curated by Kolmel W Love for The News: Fresh Queer Performance.